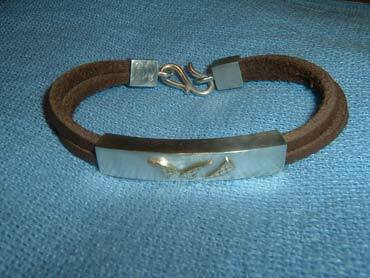 This is the second in a series of men's bracelets following a similar style. The square double leather thong is fitted to a hand made link fastening and fed through a decorated 'bead'. The 'bead' is hand formed from silver sheet and layered with three 9ct gold motifs inspired by the shape of sails in the wind.